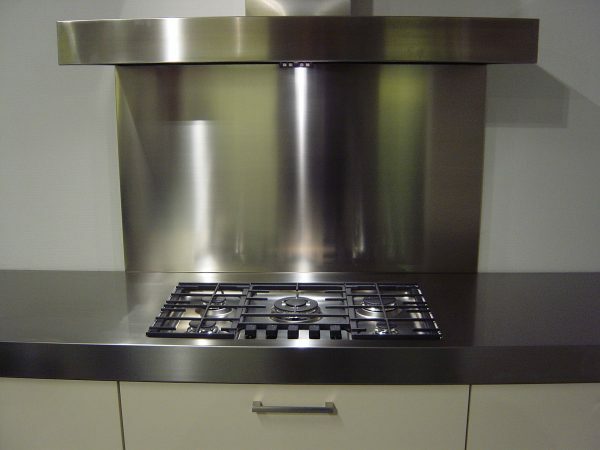 When you have purchased a nice (stainless steel) countertop, you want to keep it clean with ease. In addition, you are probably economical on the walls adjacent to the countertop, and you want to protect them against grease splashes and water droplets. It is possible to order a stainless steel rear wall with the wall socket holes/recesses at the place indicated by you. 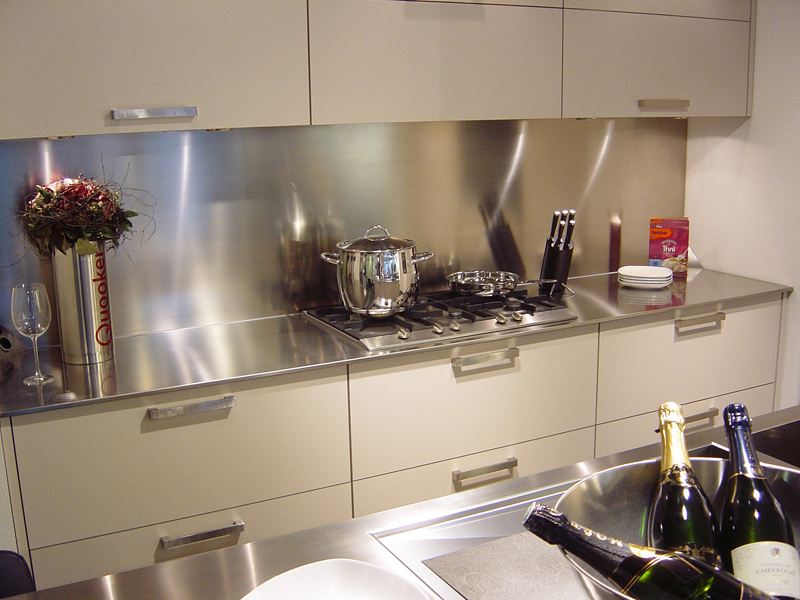 The ideal solution is to place stainless steel rear walls against the wall. Dirt does not get a chance to stick to the walls, because stainless steel is easy to clean and also very easy to maintain. 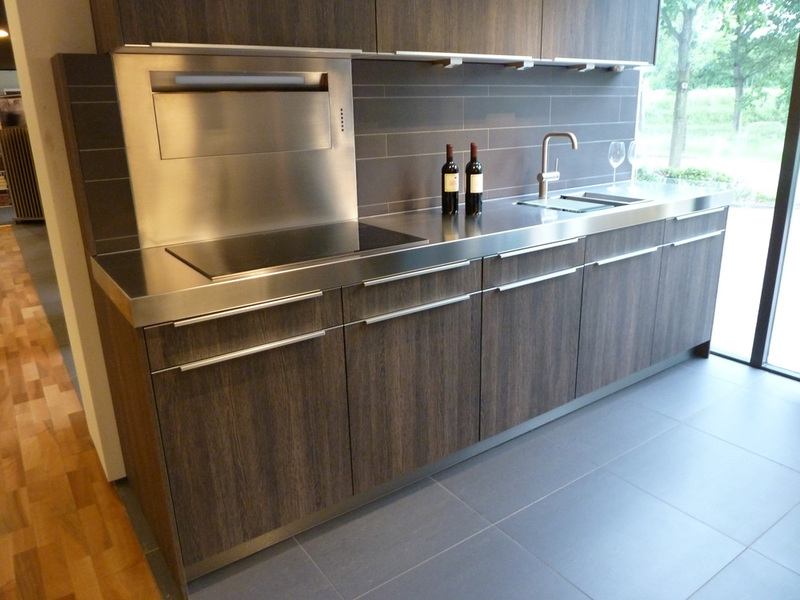 Merito stainless steel rear walls are made of 100% high-quality stainless steel. This material has an extremely long life span and is very suitable for use in the catering industry or in kitchens of individuals. Because an RVS rear wall often has wall sockets, it is possible to order a stainless steel rear wall with the wall socket holes/recesses at the place indicated by you. Curious about the appearance of an RVS back wall? Then take a look at photos of various completed projects in our photo gallery. We deliver personal customization and we are proud of that. 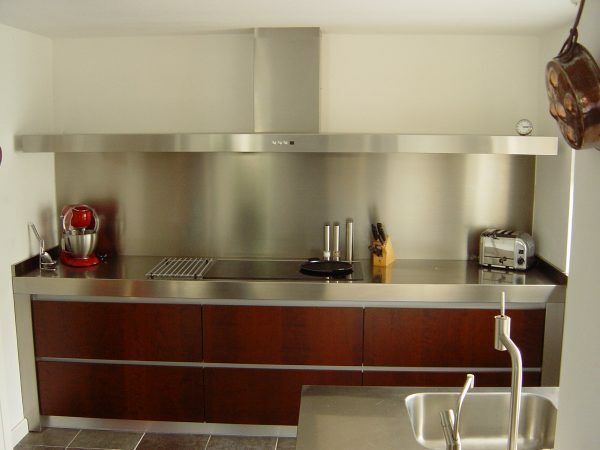 A stainless steel rear wall with very different sizes and shapes is, therefore, no problem at all. A stainless steel rear wall can be made in thicknesses of 10, 16 and 19 mm. The corners can be optionally welded and ground. Door and drawer fronts are supplied as standard in a thickness of 19 mm thick, with an underlying adhesive of 18 mm white MDF. 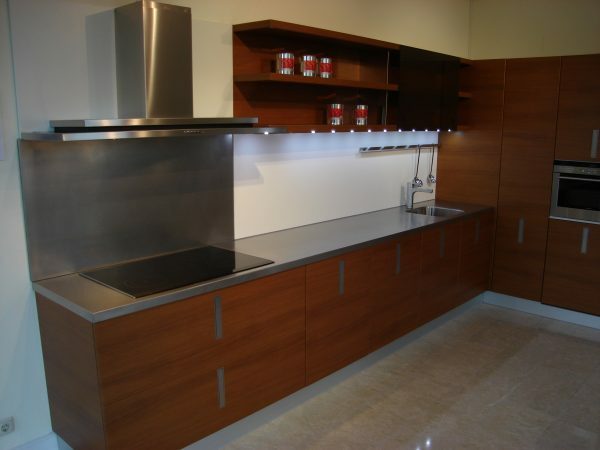 The inside of the stainless steel rear walls and stainless steel panels are provided with 9mm or 18mm waterproof MDF. 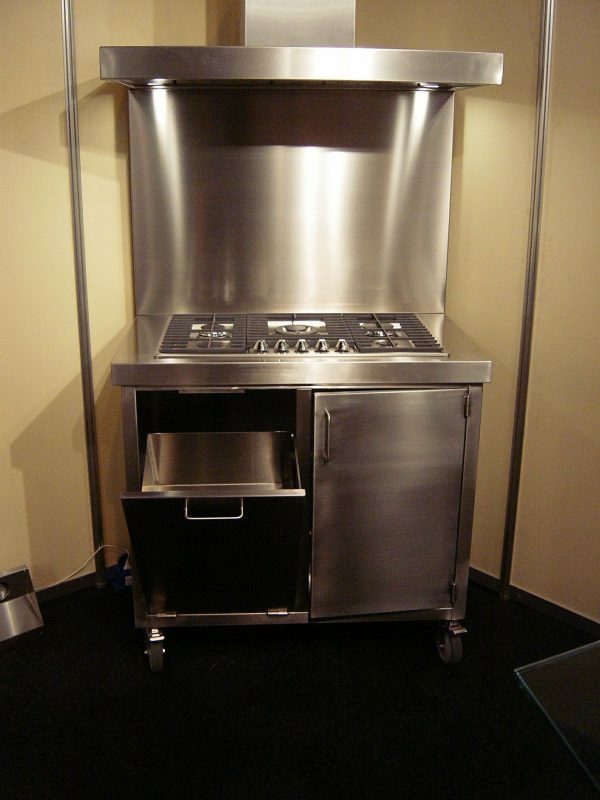 Standard stainless steel rear walls are not welded and ground and the MDF is supplied separately. 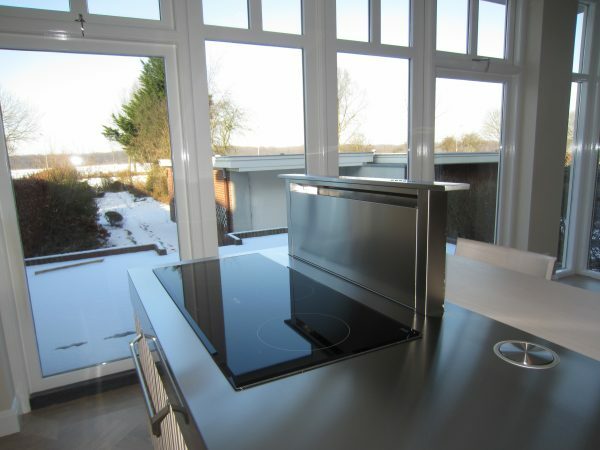 Are you curious about what is possible in your kitchen? And can you use some expert advice from our specialists? Please contact us. We will be happy to help you!